For some business owners, a quick sale is the situation they are forced into. However, if you have more time on your side, smart owners can improve their prospects for a better multiple. Discover those value drivers that buyers look for and ways to implement them in your firm. Employee stock ownership plans (ESOPs) can be a great exit planning vehicle for many small/medium-sized firms. The State of Iowa has set up many advantages to make ESOPs an appealing option. 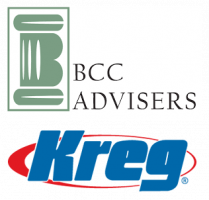 We're excited to have Greg Weber, Senior Vice President of BCC Advisers and Todd Sommerfeld, 2nd generation CEO of Kreg Tool, join us on this webinar focused entirely on ESOPs. Generational transition does not always happen like clockwork. Sometimes there is a gap in ages, stages, and available transitions in the process. This month, Mark Hanawalt, President at United Equipment Accessories in Waverly, IA, will be sharing how his company handled this and bridged the gap. Careful strategic planning can help a business owner reduce their tax liability during a sale. There are various ways to structure a sale as well as other strategies to consider well before the transaction occurs. Learn about this tactics and which ones make sense for your situation. Companies that are able to impact seven value drivers are able to multiply the wealth and value of their business. This is instrumental in creating transitional options and building owner wealth. In this webinar, join Advance Iowa's own Jayne Kielman to learn what the seven value drivers are and how you can apply them to your unique business. Agri-Industrial Plastics was founded in 1978 as a family-owned custom industrial blow molding manufacturer in Fairfield, IA. The business has gone through a family business succession when Lori Shaefer-Weaton became CEO. In May's webinar, Shaefer-Weaton will share with us how they were able to successfully make the transition from first generation to second generation, as well as the challenges and opportunities that arose as a result. Wednesday, April 18, 2018 12:00 - 1:00 p.m.
For many business owners looking at possible buyers for their firms, key employees are at the top of the list. They know the employees, the customers, the competition, and other key facets of the business. They are often a key reason why the business has been successful in the first place. It only makes sense to sell to an insider (key employee) if possible. Yet, often these employees face one unpleasant hurdle - they have very few assets to leverage in the purchase of a business. Our April Webinar featured Kirk Yung and Gary Lorenz with Great Western Bank. They discussed options for developing a financing package that can turn your key employees into potential buyers of your firm. Scott Sernett from SJS Consulting and Vizalex will be joining us as we continue the 2018 Succession Planning Webinar Series. For any potential buyer, ensuring key employees stay with the company during a transition is a major issue. In this webinar, you'll learn ways to create "golden handcuffs" to help keep your best talent from walking out the door during this time. Join the Advance Iowa Team and Drew Larson from BrownWinick for our first succession planning webinar of the year. Learn about the complexities and common mistakes that occur with buy/sell agreements, and what you should know if you're considering it as an option for succession. Make sure to bring your questions and we'll be sure to get you an answer! What are possible sales triggers? How do I tackle pricing and valuation? How will I fund the buyout? ld be addressed to the presentation author. Thank you.